Already in full preparation for next week the I.L. 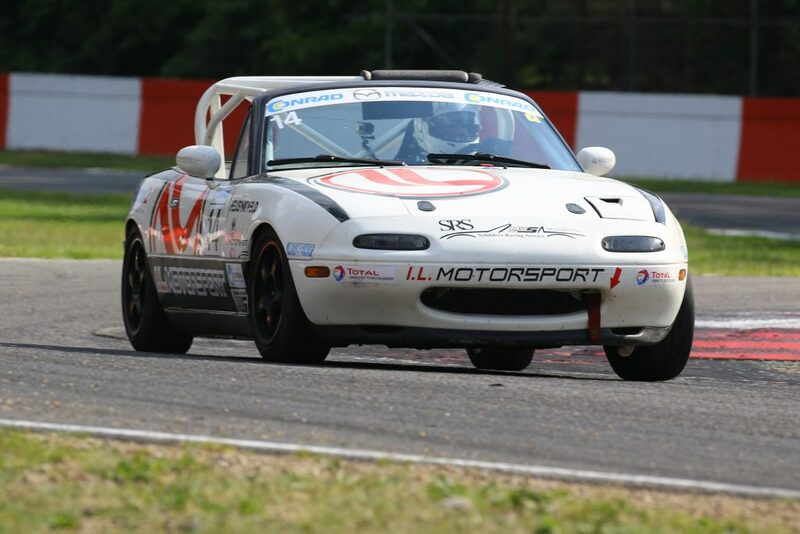 Motorsport racing team has had a great day at the circuit of Zolder in Belgium last Tuesday. 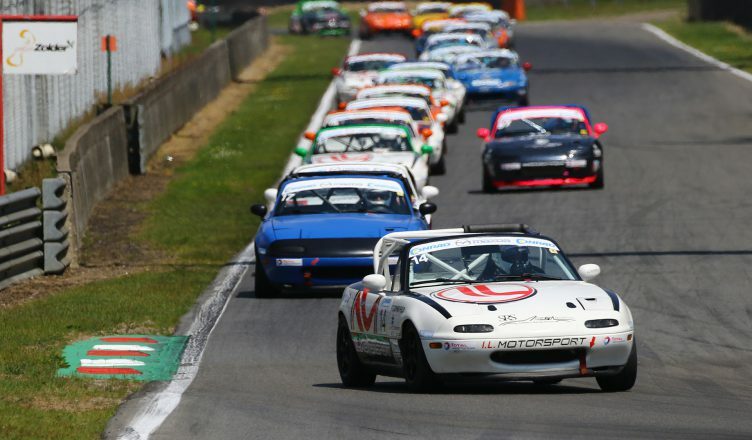 With 32 cars on a narrow track with many chicanes, tight turns and high kerbs it is never easy. But András sure did make it look like that with nothing short of a masterclass.But although he won both races with a margin it was not as easy as it looked. Due to a timing issue his fastest lap in qualifying was almost not counted. Although the orange flag indicating the start of qualifying was out at the time he passed the start / finish line timing control had only switched from free practise timing into qualifying timing about 30 sec later. This meant that his 1.58.474 pole time was in the timing sheets as part of free practise. András taking it easy on lap 2 of qualifying due to traffic ahead was then in 8th on the list when the red flag came out. Luckily race control also found the mistake and allowed András’ time for pole position. With pole position, fastest lap and win in both races this truly was the perfect weekend! Artur found himself in 4th with a 1.59.596 which was a great result for our polish racing driver, the cars around him from 3rd to 5th all setting a time within 0.006 of a second. In race 1 Artur took 4th after crossing the line in 5th but being promoted due to a penalty for a driver in front. In race 2 he was struggling with the 2nd to 3rd gear shift costing him some places and finally ending up in 8th. Chris qualified in 15th with a 2:01.299 which later during the day proved to be an indication of a problem. But Chris wouldn’t be Chris if he would not make the best out of it and jump 3 places just at the start of race 1 and take it home in 11th. And if you think that was a good start we really should talk about race 2. Because after just one lap Chris managed to get himself from 11th to 4th and was looking for a possible podium finish. After a short code 60 he even found himself up in 2nd for a moment, but soon we saw what we had seen in race 1 and in qualifying too. Chris dropped back from 2nd to 7th lacking speed on the straights. After the race we identified that the headgasket on his car is leaking which makes the engine overheat halfway the race and therefore drop performance. Something to fix before his next outing. If you want to see the actual footage of the races, please have a look at the I.L. Motorsport Facebook page for the live streams we did track side. With these results András Király extended his lead in the drivers championship, Chris Woodger and Rudy Schilders also extended their lead in the team championship and Artur Turcu jumped up to 5th in the drivers championship.